Below is a piece I wrote after reading Ronald Markman's book - "Alone with the Devil". I'm currently finding the legal aspects of most interest. I do like the way the rules can be bent (on both sides) to apply the same law in different ways. In essence the truth and the justice of it all are secondary to how the law can be applied. 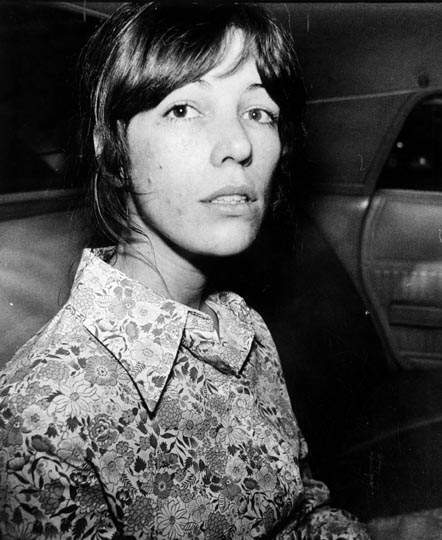 This piece covers two episodes in the legalities affecting Leslie Van Houten. The first is her successful appeal against her original conviction. The second is how the charge against her was altered to help ensure conviction in her third trial, after the hung jury in her second trial caused a mistrial. It is also concerned with the legally defined defense of diminished responsibility against a murder charge and how Van Houten's defense would at first reject and then embrace this strategy. More importantly how the prosecution would eventually get around it to convict her. Van Houten's attorney Ronald Hughes was part of the umbrella defense of co-counsel who worked as a united front for all the defendants: Manson, Krenwinkel, Atkins and Van Houten. He carried out this duty for the majority of the trial from 17 July 1970 until 30 November 1970. After his disappearance, Maxwell Keith took over for the remainder of the trial. By this time all witnesses had been heard, both defense and prosecution had rested, and all that remained were instructions to the jury and closing arguments. 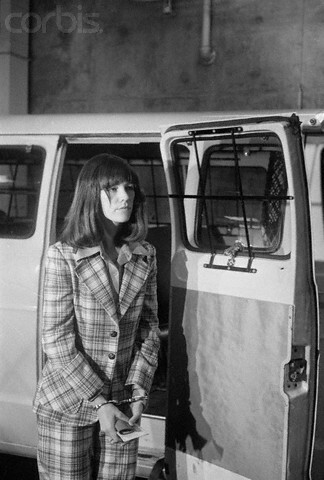 Keith would go on to represent Van Houten in both of her re-trials (1977 and 1978). Before Hughes' disappearance Van Houten been represented by three different attorneys. None of whom took part in the trial proper, all of whom represented only the best interest of their client. There was no umbrella strategy between defense co-counsel, and very little contact with Manson. All three of the attorneys were attempting to present an insanity defense based on Van Houten's diminished responsibility. The first, Donald Barnett arranged for her to be interviewed by a psychiatrist, Van Houten refused, and he was replaced by 19 December 1969. His successor, Marvin Part, attempted to do the same. He was replaced a month later on 19 January 1970 by Manson approved Ira Reiner. During his replacement, Part was heard by a judge in chambers arguing that Van Houten was not mentally capable of making such a decision. Part said of her "that girl is insane in a way that is almost science fiction." He had also tape recorded Van Houten, but the judge declined to listen to it. Instead he had three psychiatrists review the tape to determine her capability to replace counsel. On 6 February 1970 based on their findings, the judge declared she was. Van Houten would comment "He was going to claim that I was nuts. He said 'I will get you out. We will make these tapes, Leslie, and we will take everything that Susan Atkins said in her story and then we will put it on tapes and play it for some psychiatrist to see if you are crazy.'" Reiner would eventually be replaced during jury selection, apparently for failing to comply with the defense strategy of not questioning prospective jurors (Van Houten was the only defendant to use all her pre-emptive challenges). He was replaced as Van Houten's attorney with Manson's previous lawyer Ronald Hughes (who had been replaced by Irving Kanarek). One of the three psychiatrists who listened to Van Houten's tape recording was Dr .Ronald Markman. He interviewed Van Houten, as well as Charles Watson and Patricia Krenwinkel. He would go on to take part as a witness in Van Houten's later trials (including as a defense witness). He would also interview Roman Polanski during his own legal problems in 1976. Markman felt that there was little in the tapes to suggest either legal insanity or psychiatric disorder. However, he did feel that he had pertinent psychiatric information that might greatly reduce her responsibility for the murders. Eventually he would conduct an interview with her before her second trial. At that time, to successfully convict on a first degree murder charge, it was necessary for the prosecution to demonstrate that the defendant had the mental capability for the crime. It had to be shown that Van Houten not only premeditated, deliberated and harboured malice for the crime, but that she also was able to reflect on it in a meaningful and mature way. However, he did feel that Watson, despite the drug use, harboured malice, but also lacked the maturity to reflect on the gravity of his crimes in a meaningful way, legally reducing the charge he should face from first to second degree murder. On 13 August 1976, almost seven years to the day since she took part in the LaBianca murders, the Court of Appeals of California, granted Leslie Van Houten a reversal on her conviction. It was not granted because the evidence against Van Houten was found to be lacking, but because the disappearance of her attorney Ronald Hughes resulted in a denial of effective counsel for her. Over objections from Van Houten, Maxwell Keith was appointed as her attorney and had the unenviable task of reviewing the transcripts and examining exhibits that had been produced over the duration of the lengthy trial. Van Houten and Keith moved for a mistrial on the grounds that his absence during the taking of the evidence made it impossible for him to argue effectively, the motion was denied. Van Houten would argue on appeal that this denial was a reversible error. The 1976 appeal would agree with her on two grounds. Firstly, agreeing with her that Keith was incapable of arguing in a credible manner. Secondly that the disappearance of Hughes severely interrupted the continuity of representation necessary to a fair trial. Much of their argument is centred around the importance of the closing argument as an important part of effective representation, a constitutional right under the Sixth Amendment. Hughes by his absence, could not do this for his Van Houten. The closing summation given by an attorney is an opportunity to pass comment of the credibility of witnesses. This includes not just the testimony (available on a transcript) but also the manner in which a witness testifies, inflections of the voice, body language, hesitations, etc. Keith was not present for any witness testimony and therefore could not argue effectively against Van Houten's main accusers: Linda Kasabian, Dianne Lake and Barbara Hoyt. The appeal panel felt the trial judge should have focussed on the Sixth Amendment right and a good trial lawyer for the defendant and not to avoid the inconvenience of a new trial. "It would undoubtedly place an undue burden on any counsel coming into the case. At this date the trial has been in progress for five months; the transcript is in excess of 18,000 pages, and it would be a terrible burden to bring a new attorney into the case and expect him to adequately and effectively represent anyone for the remainder of the trial." By compelling Van Houten to accept Keith, the appeal panel felt a mistrial should have been declared. It was also felt that the continuity of Van Houten's trial had been severely disrupted by the disappearance of Hughes. Legal precedents existed that should have been followed and a mistrial declared. Similar to if the judge, or member of the jury could not attend for a lengthy period. The trial had a 12 day break to allow Keith to review the trial testimony and exhibits. Two of the three member appeal panel agreed on Van Houten's reversal. The dissenter, PJ Wood added a lengthy addendum to the judgement outlining why he felt Van Houten's conviction should stand. Wood argued that the evidence for her conviction was sufficient. Also that Keith was appointed not as counsel, but as co-counsel along with the other three attorneys (Fitzgerald, Shinn and Kanarek) who had been present for all witness testimony. In addition, after the 12 day continuance, Keith had not asked to be relieved and did state that he was unable to argue witness credibility on the basis of their demeanour because he had not observed them. Wood felt that Keith had argued for two days on Van Houten's behalf and ably covered all of the evidence against her, including describing Kasabian as a sinister person engaged in fraud, deception, burglary and theft to get what she wanted. She was wily, opportunistic and her immunity brought into play self-preservation which may have turned her into a liar. He also reminded the jury that her testimony regarding the conversation outside the LaBianca residence was prefaced with the words "I think" and "I'm not positive." He described Dianne Lake as a 17 year old mentally disabled drug addict who had been committed to a mental institution, and that she had lied before the grand jury. In addition, Keith instructed the jury that Barbara Hoyt's testimony regarding Van Houten hiding from a visitor to Spahn Ranch , who had given her a lift from Griffith Park, may well have been because Van Houten feared for her own safety, if indeed the incident had actually occurred. Essentially Keith had argued ably that the witnesses were not credible regardless of whether or not he was able to argue against their credibility based on their demeanour. The other three co-counsel had seen the witnesses' demeanours and did argue against this aspect of their credibility, in particular Kasabian. For example, Fitzgerald and Shinn argued that just because she cried on more than occasion whilst testifying, did not mean she was being truthful. PJ Wood felt that there was an implication that Keith, had he been present, may have seen something missed by three other attorneys, or that had he also seen something he would have made a better argument on the witnesses' demeanour of credibility. This was a narrow legal point because in fact there was no witness demeanour to be argued. Wood then goes on to make the argument that if witness testimony is used/re-used during a re-trial without the witness being present, making witness demeanour impossible, this does not cause a mistrial. He goes on to make the point that the jury did see the witness demeanour and it is they who decide factual issues. [This did occur during Manson's Hinman-Shea trial when the prosecution re-used Brunner's testimony originally given during the Beausoleil trial]. This reversal dismissed her other appeal regarding whether or not she was entitled to credit for time served whilst she had been held in custody prior to her sentencing. This demonstrates that like many inmates sentenced to indeterminate sentences Van Houten was hoping to be released in the near future. All those convicted in 1971 were to become eligible for parole for the first time in 1978. In the 1977 trial Van Houten may well have been acquitted and gone free. The prosecution had difficulty in convincing the jury that she was guilty of first degree murder. The jury was apparently split between those who wanted her convicted of first degree murder and those who felt she was only guilty of manslaughter. With eight years served she may well have been released with time served had she been convicted of the lesser offense. The hung jury and mistrial became possible because unlike her first trial, this one had a psychiatric-legal defense strategy of diminished responsibility. Calling five psychiatrists (out of twelve witnesses). Nearly successfully demonstrating to the jury that Van Houten was incapable in a narrow legal sense of being able to commit first or second degree murder. One of the troubling aspects of the LaBianca murders is their apparent random and senseless nature. Many valuable items were left untouched in the residence, luxury items, coin collections as well as a weapon collection of over a dozen hand guns. Van Houten did remove from the property, one of Mrs LaBianca's dresses as well as around $8 in change. 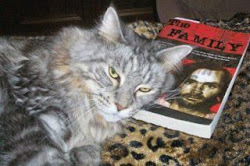 The killers also ate the LaBianca's food and Manson removed Mrs. LaBianca's wallet. Markman claims responsibility for suggesting to the prosecution, that in her third trial, the charge against Van Houten could be altered in the prosecution's favour. A first degree murder charge could by its legal definition be defended against by claiming diminished responsibility. However, a murder carried out during the course of another felony, a robbery could not. A first degree murder committed during the course of a robbery did not by law ,require demonstrating premeditation, deliberation or malice. In addition, proving the mental state required to commit robbery is by far simpler than that involving murder. The defense went again with a diminished responsibility defense, but under the new charge its relevancy was reduced. Markman testified in the third trial that he did consider Van Houten to have the mental capacity to commit robbery. Apparently three members of the jury found themselves able to convict her using this more simple approach. In 1980 the Supreme Court introduced The Victim's Bill of Rights removing the requirement that premeditation and deliberation be "meaningful and mature." People v. Van Houten (1980) 113 Cal. App. 3d 280 [170 Cal. Rptr. 189] [Crim. No. 33752. Court of Appeals of California, Second Appellate District, Division One. December 15, 1980]. Alone with the Devil: Markman, Ronald and Bosco, Dominik, Futura, 1990. Tremendous research and presentation, as always! Leslie in the beginning fought as hard to convict herself as she did in the 3rd trial to free herself. She did everything necessary to get herself thrown in prison for life and succeeded in doing that. In that regard I don't feel sorry for her. Der current fate was her fault. But I think 40 years in prison is enough. Keep in mind though. in 1969 and 1970 Leslie was a very mean criminal She was one of the most dangerous members of the Manson Family. To me; Leslie led a fascinating life as a teenager. Nice write-up... I always felt that the decision not to separate the trials was a tremendous disservice to Atkins, Krenwinkle and Van Houten. Separate trials for the girls would have lessened the circus like atmosphere and buffered them from the day to day influence of Manson. It had to be tedious for the jury to listen to four defense attorneys cross examine each witness during the prosecution's case....especially with Kanareks shenanigans. If each defendant were allowed a separate trial it would have broken up the "group think" component. As MrPoirot points out, Leslie fought much harder in her defense after being removed from Manson's influence and the scrutiny of her co-defendants. Separate trials would have been advantageous for the defendants. Chris spelled "defense" and "offense" with a "C" throughout this piece. (i.e., "defence" and "offence" respectively). Evidently, the "C" spelling of those words, is traditional in other parts of the world. I took the liberty of changing the spelling to "S" throughout, which is the US custom. I hope Chris doesn't mind. Please check your email at your earliest convenience. I read your e-mail Lynyrd, I'll get back to you as soon as I can. Thanx for the post Chris. I read something about an actress named Erica Gavin maybe a year ago. I can't remember it exactly, but I think she said she was either married or living with one of the Manson lawyers during the time of the trial. It might have been Krenwinkel's lawyer, Paul Fitzgerald. I think she said she got to know the Manson girls on the corner very well, I think she said she gave Atkins the short mini dress she can be seen wearing in some vids. I sent an e-mail to Ms. Gavin, but she didn't reply. From what I can gather of the first trial, I don't think the lawyers themselves even knew who was representing who at any given moment. Leslie's 2nd quote really sums it up, doesn't it? That one night changed everything, not only for her tho. "I read something about an actress named Erica Gavin maybe a year ago. I can't remember it exactly, but I think she said she was either married or living with one of the Manson lawyers during the time of the trial. 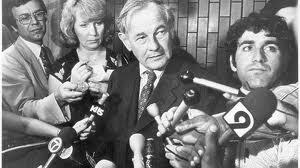 It might have been Krenwinkel's lawyer, Paul Fitzgerald"
Wow, interesting, I've never heard that! LOL - must be nice! Yes Erica Gavin lived with Paul Fitzgerald during the trial. It's kind of mindblowing to think that all that stopped Leslie from being set free was the fact that she helped herself to about 8 bucks worth of loose change on the way out the door. There was supposed to be a movie released called "Manson Girls" in 2013. Anybody heard anything? The actress who played Jodi Arias was going to play Van Houten. I might have posted this link on here before, it's about Erica Gavin and her connection to Paul Fitzgerald and the Manson family, it can be found HERE if anyone hasn't seen it and is interested. Gavin is quoted from a book I think, she says "I grew up with the LaBianca kids. They lived in Silver Lake, and I went to school with their daughter, Susan" and "Going through the whole trial was a bizarre experience. I would get letters from Susan Atkins and drawings that sort of showed mirror images of me and her. That was really hitting close to home, since I had re-enacted that same scene in Dolls!". Gavin appeared in the film "Beyond the Valley of the Dolls". I just looked on IMDB, if I understand it correctly, the film "Manson Girls" is to be released Aug. 8, 2014. That link is HERE. I wonder why they would release a movie called "Manson Girls" on August 8th? Probably just a coincidence. Fitzgerald's sympathies were extremely tilted towards the Family. He even had a ménage a trois with Squeaky and Sandy. I doubt Erica Gavin knew about that. There was another defense attorney who mentioned Squeaky and Gypsy hanging out in his office a lot. Gypsy would play the violin for him. The attorney said Squeaky always looked like a wet rat. I guess the violin got to be too much one day so he threw them both out. To help demonstrate how justice and truth can be skewed and shifted, after writing the piece I was looking through Helter Skelter and I found an extract of Bugliosi during the trial where he explicitly states that the motive of the LaBianca murders was NOT robbery (it was of course for Helter Skelter). Several years later and the charge was altered to robbery to help ensure a conviction as the prosecutors didn't manage to gain a conviction in the second trial on the original charge. Apparently many mistrials end with the DA approaching the defense with a plea bargain to avoid a complete re-trial. This apparently was not offered to van Houten.